Córdoba (Argentina) (AFP) – Spanish veteran Carlos Sainz clinched overall victory in the 2018 Dakar Rally on Saturday, finishing safely after the 14th and final stage around Cordoba in Argentina for his second win in the race. 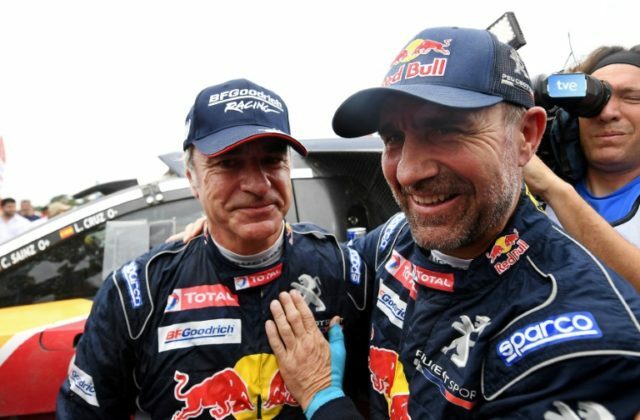 The 55-year-old, the father of Renault Formula One driver Carlos Sainz Jr, ended atop the overall standings ahead of a pair of Toyota drivers — two-time winner Nasser Al-Attiyah of Qatar and Giniel de Villiers in third. South African De Villers won the final stage to ensure he completed the podium ahead of defending champion Stephane Peterhansel, who had seen his top-three hopes all but ended when he hit a tree and lost 40 minutes on Saturday. Finishing ninth on the day, Sainz retained a huge 43 minutes and 40 seconds advantage on arrival at the end of the 40th edition.